The vast majority of user experience research happens in a lab. Typically, researchers are evaluating a software application or website on either a computer or mobile device. This setup works well, and more or less emulates the experience that a user would have at home or work. There are a variety of relatively straightforward and effective methods for collecting user experience data while someone is using a computer. Sessions are typically held one-on-one between the participant and researcher. Researchers ask participants to focus on tasks while thinking out loud. The experience might be followed up by a series of Likert-style questions to describe the participant’s experience using the website. 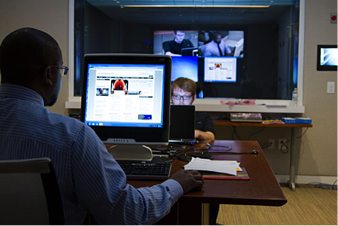 Behind the scenes, all of the user’s actions and the computer screen are recorded and are easily witnessed by observers. So what User Research Methods for Automotive user experience do we use. 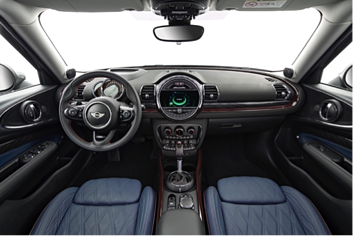 2015 Mini Cooper Clubman. Courtesy BMW Group. Limited control of the test environment – Using a driving simulator, or worse yet, conducting auto UX in a lab is highly artificial and will not help to understand how users will actually experience the vehicle. In a real-world setting, the user’s environment is literally on-the-go and provides for a nearly infinite series of user actions that would be impossible to predict and control for. Difficult to capture data – We can’t easily capture the output from the various interface components that the user will be interacting with, and it isn’t easy to directly observe participants without being in the car with them. 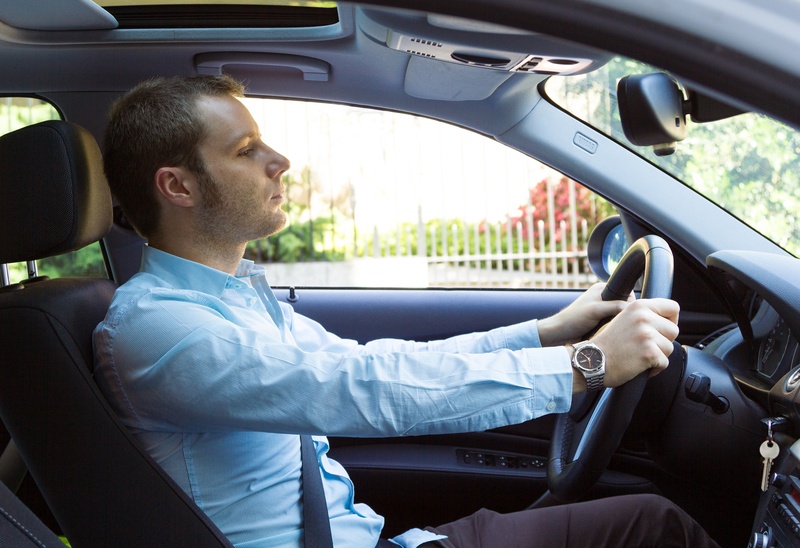 Challenges to obtain real-time feedback – The driver of a car needs to focus their attention on operating the vehicle and it would be potentially dangerous to distract them. The reality is that you can’t fully understand how users will experience a car unless you actually place them in a vehicle, but in this environment it is challenging to capture the kind of information that would effectively evaluate the user’s experience. There are many opportunities to collect real-time data about the user’s experience with minimal or no interference from a test facilitator. Haptic mood meter – Key Lime has developed proprietary methods for collecting real-time feedback on the mood of a participant while they are experiencing the product. This can be combined with a haptic input system attached to the steering wheel in close proximity to the participant’s hands. This form of input from the user can be obtained without the participant needing to take their eyes off the road. (Photo: EPFL/j. 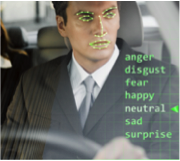 Caillet) Facial analysis – This can be combined with the dash cam to capture a real-time analysis of a participant’s emotions by watching their facial expressions. (Photo: Tobii) Eye tracking – Eye tracking glasses can be used to track exactly where a participant is looking and capture a first-person field of view. These real-time self-reporting methods can be used longitudinally to understand longer-term usage patterns with minimal intrusion to the user’s experience. The driving experience can be significantly impacted by the number of people in the car. In order to obtain findings that are truly reflective of the user’s experience we need to consider the number of participants present in the vehicle. A car is an intimate space typically occupied by the driver and also a significant other or friend. Introducing a researcher into the car immediately creates an artificial environment that can affect the user’s actions, perceptions and feedback. 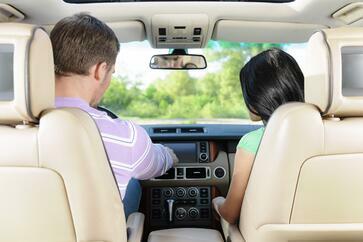 Participant dyads can include friends, significant others, and family that the driver typically rides with. This familiarity provides an environment where participants will feel more comfortable providing candid and honest feedback. Dyads also encourage an open dialogue to discuss the experience and see how the participants’ interactions relate to their vehicle experience. Just as in co-pilot pairs, removing the researcher from the vehicle and introducing familiar individuals will create an environment for free flowing and genuine feedback. 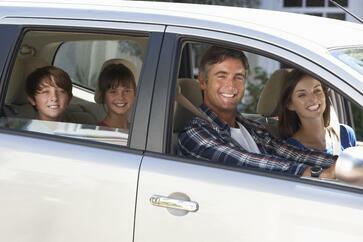 Families of more than two individuals are common, and share in the vehicle experience. Family members can introduce distractions and interactions that would not be observed in single driver scenarios. Family members often represent a wide range of demographics with different wants and needs. Spontaneous group discussions can occur that provide a real-world perspective on the features of the vehicle and how they are used by different members of the family. Removing the researcher from the vehicle is key because they can change the dynamics of the vehicle experience. Family members are likely to be on their best behavior when a stranger is present and will not act as they normally would. Feature/Function Usage – Understand the context of use of the various features available in the vehicle including how, when and why they use certain features and their relative importance. Usability Issues – Usability issues can both be self-reported and observed, which identify features/functions that the user cannot locate, does not understand how to use, or does not work in the way that they had expected. Wants and Needs – Participants can express features/functions that they wish the vehicle offered and the anticipated benefits that it would offer them. The context of use and relative interest in these features can also be self-reported and observed. Optimizing existing research methods for automotive UX can be an effective way to obtain feedback from users. Key Lime Interactive works closely with our clients to develop custom solutions to solve their specific research questions. We use the latest methods and technology to gain deeper insights that can be applied directly to the design and experience strategy of in-car interfaces.